Our famous Spartan Bar Cards are now available to purchase online, where we’ll have them ready and waiting for you as soon as you walk into the door! 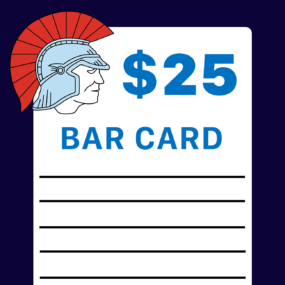 This $50.00 Bar Card is just like those you get from the bar, only now, you can skip the queue and enjoy our cheap $4.00 drinks faster than we can get the bottle top off! Right here waiting for you. No longer do you have to order your bar card from the clubhouse, just purchase it online, walk in with your immediately emailed receipt and date, and show it to our bar staff to receive your card! This $50.00 Bar Card is exactly the same as before – you’ll still receive your slip of paper for us to mark off your purchases, but you can order and be ready to go before you even step foot in the door! 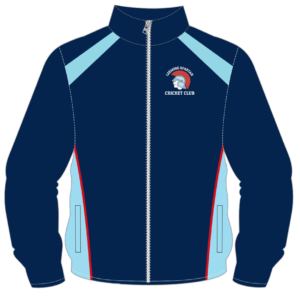 Please note that this item is only available for purchase during the season, in the months of October through to March. Please note you must be over the age of 18 to purchase this item. ID may be required on collection. Return To The Spartan Shop! 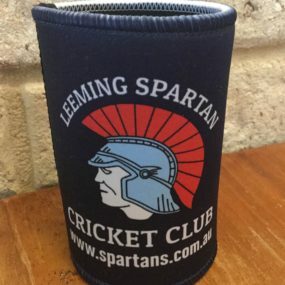 The Leeming Spartan Cricket Club (Inc.) logo and shop items are explicit copyrights of the Leeming Spartan Cricket Club (Inc.) (ABN 24 114 629 534) and are not to be used or reproduced without the express written permission from the Leeming Spartan Cricket Club (Inc.).